Are you looking for a place to stay in the center of the High Coast of Swedens all nature wonders then FriluftsByn is a great option. FriluftsByn is located right in the center of the High Coast, close to all the major attractions. Here you find the best hiking routes, the boat tours to Mjältön and Ulvön and the best kayaking waters. In short – if you are in the High Coast for the nature – this is your spot! With plenty of open green spaces and Lake Gällstasjön there is also plenty of time to just relax and enjoy your High Coast stay. FriluftsByn is both a passion and a place. We who run the place love the outdoors and like to share it with as many as possible. You can ask us at the check-in or visit the info corner. Every monday and thursday at 16:00 we also hold a presentation about the area. Learn more about staying in FriluftsByn here. 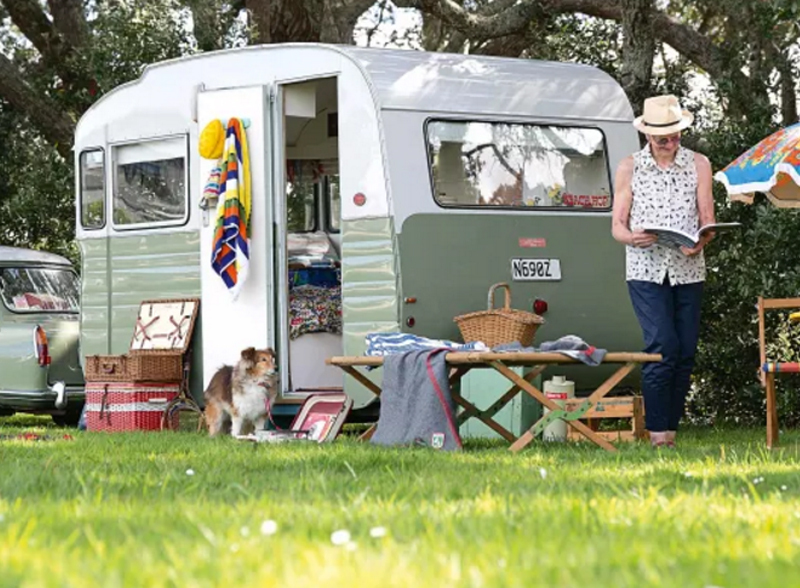 If you like to stay in your caravan, campervan or tent then FriluftsByn is a great option for your stay in the High Coast. If you like to stay in a cabin during your High Coast visit you find plenty of options. From cabins with showers/toilet and kitchen to camper cabins with access to the service building. Welcome to the High Coast. We will do our best to give you a great stay! FriluftsByn is a place for both adventures and relaxation. For spending time with family or friends or just to find your own space and room for thought. Our 5 cabins have kitchenette, shower and toilet. 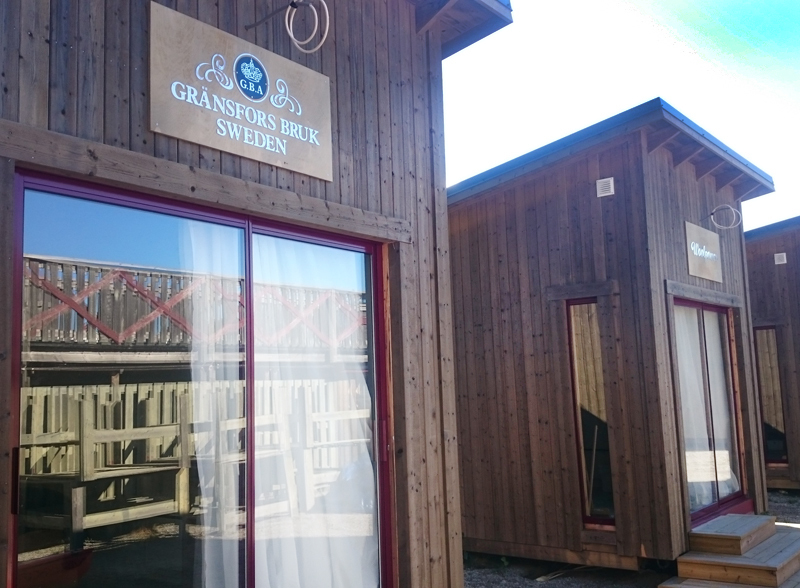 Together with Swedens leading outdoor brands we have built 9 outdoor sheds or FriluftsBodar in Swedish. Access to fireplace, lounge, kitchen, showers and toilets just outside your shed. Available with 2 or 4 beds. Available Mon – Thurs or Thurs – Sun. 2 400 sek for 3 nights. 12 cabins with kitchenett and access to showers and toilet in separate service building. 34 marked spaces for campervan or caravan with plenty of space for your tables and chairs. Klick below for site-map. Choose between powered or non-powered tent sites. In 2016 FriluftsByn was one of the finalists to the Swedish Grand Tourism Awards. The award went to the Museum on Gotland, however we are superproud that our passion for naturen and the High Coast were recognized. WHY YOU WILL REALLY LIKE YOUR STAY IN FRILUFTSBYN, HIGH COAST OF SWEDEN. 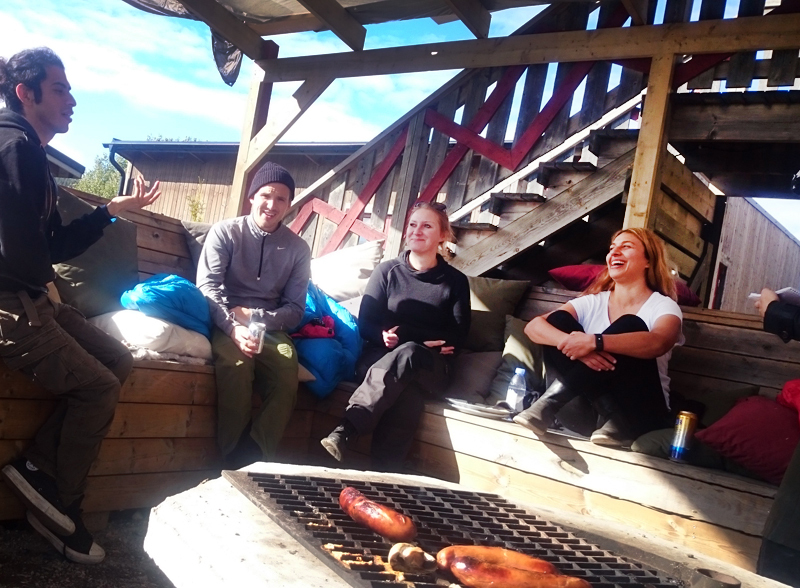 FriluftsByn is a co-operation with some of Swedens most popular outdoor companies and offers a great place to stay in the center of the High Coast of Sweden. 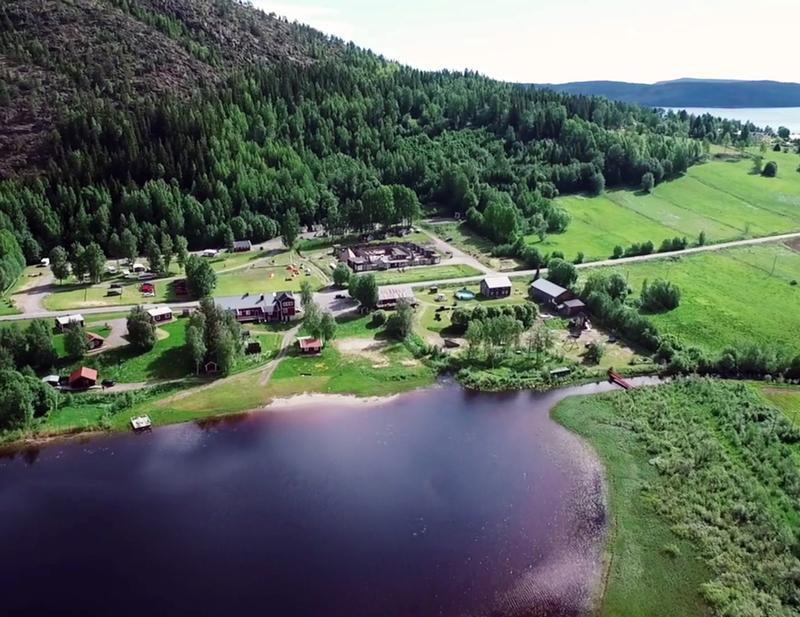 With its location on the south side of Mount Skuleberget you are close to all the adventures and major attractions the High Coast has to offer. Close to FriluftsByn you find the best hiking routes – Mount Skuleberget and Skuleskogen National Park, the best kayaking waters and the Via Ferrata. You can hike the High Coast Path to the top of Mount Skuleberget to enjoy the Top Cabin or to Naturum and learn more about the World Heritage Site. If you like to take the boat to Ulvön Island the boat departs only 10 minutes with bike from FriluftsByn. 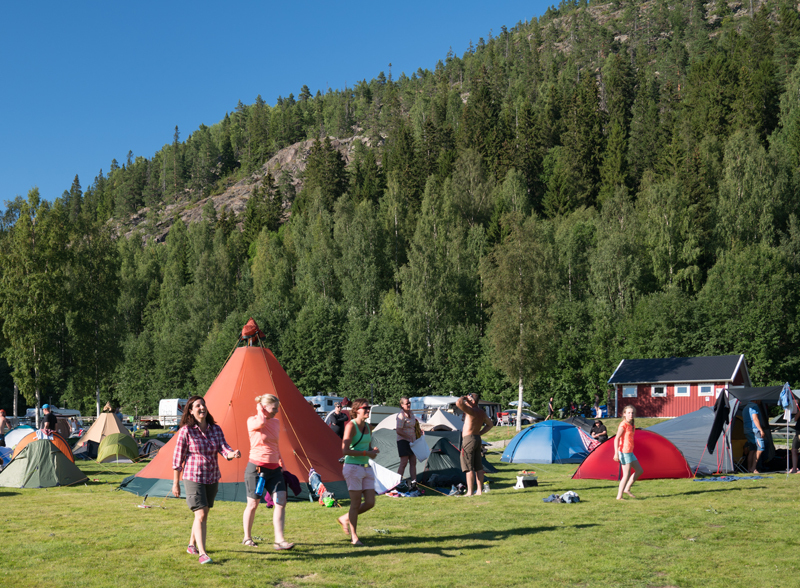 FriluftsByn offers plenty of options, regardless if you are looking for an active holiday or just a well deserved break. Set out hiking in the morning or just stay in bed with a book. Gather by the fireplace or go for an evening swim. Thanks to the southside location you can enjoy both the morning and the evening sun. 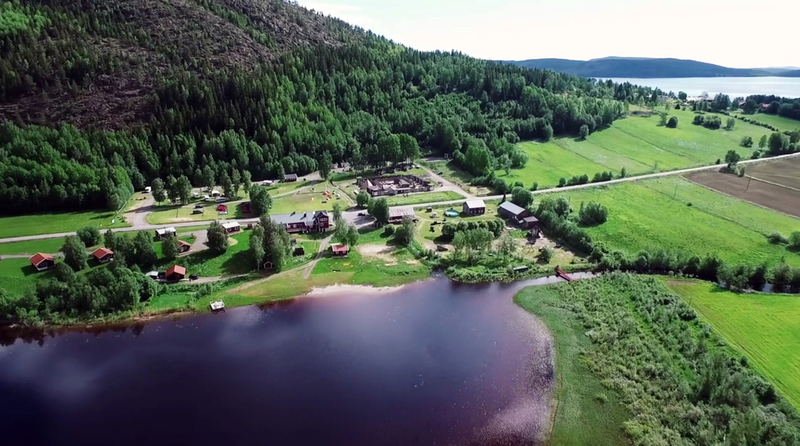 FriluftsByn is your perfect basecamp for your stay in the High Coast and is liked by families, couples and friends. Welcome to your stay in the center of the High Coast of Sweden. Click below to get more information about each alternative to stay in the High Coast.